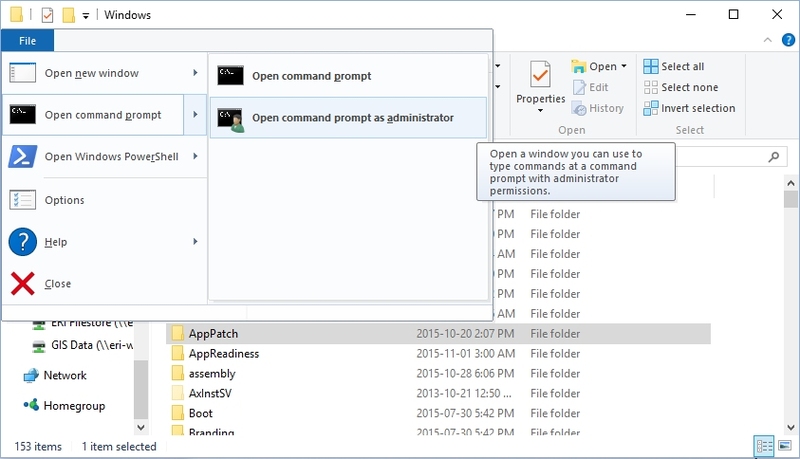 Windows 10 allows quick access to user- and admin- level command prompts in any folder without adding any shell extensions. 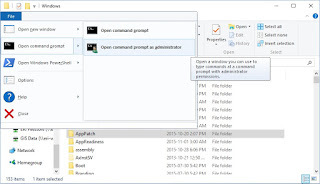 Open File Explorer, select any folder, and go to the File tab on the ribbon. Options will appear for Open command prompt and Open Windows PowerShell. Hover over either and you'll see options for opening either as administrator. Thanks, Microsoft! For the next addition to this repository of helpful hints, I'm going to cover something somewhat technical I've run across. In GIS mapping, your source data from the Feds or from a state will typically not include Quarter Quarter sections or "40's." Sometimes Quarter Sections will be included, but that varies from state to state. If you're mapping any kind of real property, "40's" are going to be heavily involved in getting stuff correctly located on the surface of the earth. In the past, I've just copied my Sections I needed to subdivide into a layer for my Quarter Quarter Sections, and divided them using the cut tool, first from the midpoint of the north line to the midpoint of the south line, then the east midpoint to the west midpoint, and then again in each Quarter Section I've just created. This produces workable "40's," but they're not technically correct. Why not? 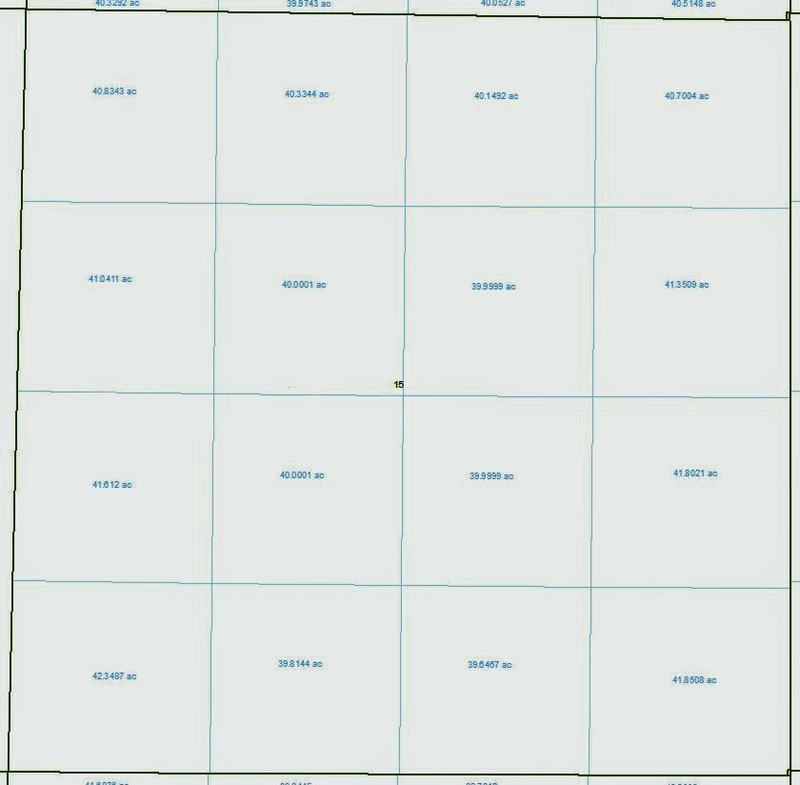 Because the subdivision of Sections works the same way as the subdivision of Townships into Sections - the center divisions are supposed to be perfect, with the ones around the edge making up the difference between the real shape and the ideal (a six mile by six mile square for Townships and a one mile square for Sections). That means that, in the case of Sections, the center "40's" are supposed to be, well, 40 acres each. They should be 1,320' x 1,320' parallelograms. If you have a section that's, say, 5,100' x 5,200' rather than a 5,280' square, the technique I described above will produce "40's" that, well, aren't. They'll be roughly even features of ~38.05 acres each. Here's the method I've started using to create "correct 40's:"
Then, copy your Sections into a layer for "40's" as I described above. 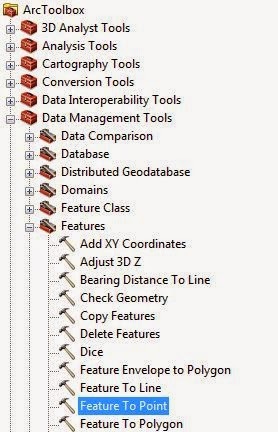 Next, select a single Section (you have to do this one Section at a time) from your "40's" layer and select the Cut Polygons Tool from the Editor toolbar. Now start cutting. Go from the centoid to the midpoint of the north line. This point may be inside the polygon, so you'll need to create another point continuing the line (I use CTRL-A to specify the angle, and click on the line I just made to keep going at that angle). From there, set your next point back at the centoid. Continue for the south, east, and west lines. If you finished your sketch at this point, you'd have Quarter Sections.